If you asked me a few years ago "Dan, What Virtual instruments and or libraries do you use in Pro Tools?" I would have answered "Anything in Kontakt Komplete Ultimate". The Native Instruments Komplete Ultimate bundle includes a huge wealth of instruments, so many that I know there are quite a few instruments in my Kontakt browser that I'm not even aware of. Last year, I came to a bit of a realisation. I've been very stubborn, believing that the Kontakt Komplete Ultimate bundle was all the VI library I would ever need. In hindsight, I feel as though I've missed out on some great opportunities to venture out of my Kontakt hole and use virtual instruments by UVI in my productions. This article lists four UVI Instrument products that I love and have been using a lot recently. The article also includes example songs I've made with each UVI instrument/library. 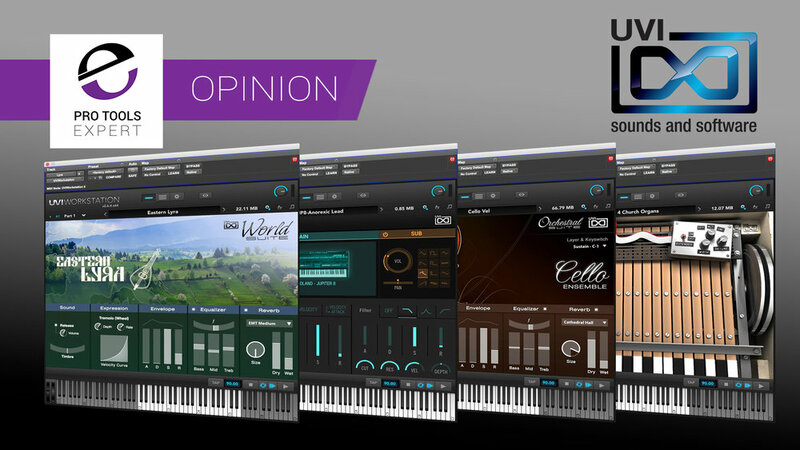 Do you use UVI Instruments? If so, we would love to hear what instruments you use and why. I'm not the biggest soft synth user. I find that many soft synth GUIs are too complicated as many developers design soft synths to look and feel like synth hardware. Synth hardware has never interested me, so soft synth products that try to look like the real synth generally don't get a lot of attention from me. UVI Synth Anthology II does away with the synthesiser history lesson by providing users with a massive collection of great sounding synth patches and samples that are easily shaped within a GUI layout that doesn't require a deep working knowledge of synths from the 70's and 80's. Watch the Pro Tools Expert video review of UVI Synth Anthology II. Visit the UVI website for more information on Synth Anthology II. Before I downloaded UVI World Suite I asked myself that all important question - "Do I need this?" My answer - "I don't have anything like this, so yes". This has a very comprehensive collection of world inspired instruments and loops. I found the names of instruments I've heard featured in quite a few movie scores - now, thanks to World Suite, I know what those instruments are called. Just the other day I was hired to produce 3 short songs for a toddler themed project - World Suite was featured throughout those 3 songs as it helped me to think of musical ideas "outside the box"
Visit the UVI website for more information on World Suite. Mello is an instrument sampled from an instrument that's made up from samples of... Let's stop there before this gets confusing. The original Mellotron, released in the 60's, was one of the first sample based instruments, UVI Mello is a faithful recreation of that iconic keyboard instrument. Mello offers a lot of unique retro sounds that can be heard on countless hit records from artists such as Bowie, Oasis and Radiohead to name a few. What I love about Mello is that it offers a great balance between retro textured sounds and melodic vibe. UVI have extended the feature set within Mello further than the original hardware unit could ever reach including ADSR, reverb and stereo controls. That said though, the tape samples still runs out at around 8 seconds - making Mello a perfect recreation of the Mellotron. Visit the UVI website for more information on Mello. Quality orchestral libraries are difficult to find for under $1,000. UVI Orchestral Suite doesn't even come close to that cost of outlay. The strengths of UVI Orchestral suite are found when the instruments in the library are playing together as an orchestration. The instruments aren't exactly geared towards solo line parts but that isn't what I feel this library is about. It Includes everything I need in an orchestral library, except a piano, and the interface is as easy to use as any other UVI instrument. What's also impressive is the tiny amount of space this library takes up on my sample drive. 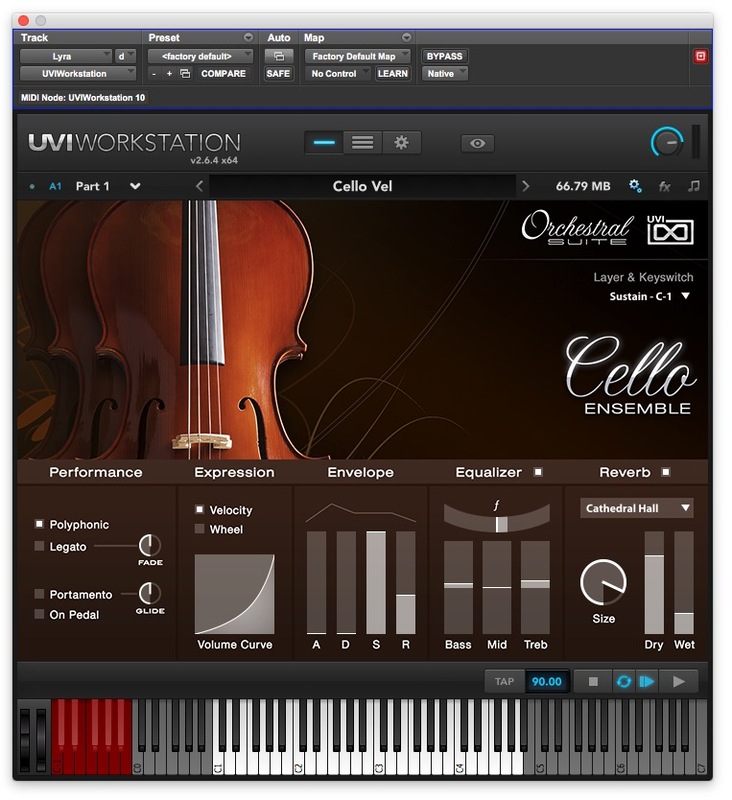 Watch the Pro Tools Expert video review of UVI Orchestral Suite. Visit the UVI website for more information on Orchestral Suite.